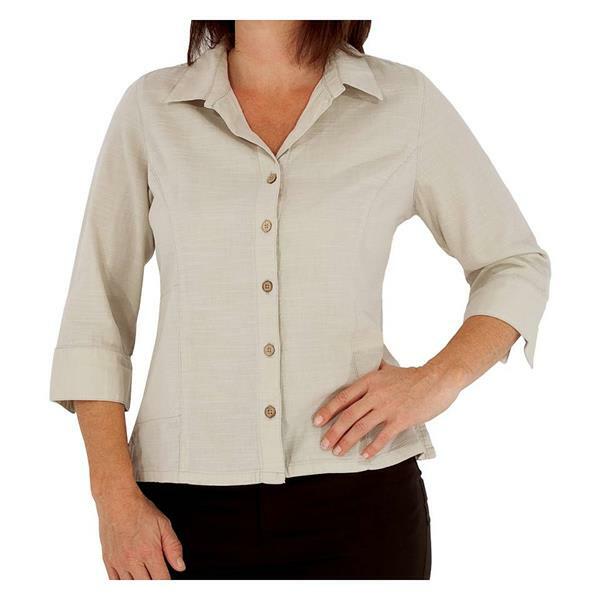 Keep your luggage and your style lightweight and easy with the Royal Robbins Women''s Cool Mesh 3/4 Sleeve Shirt Jacket. This button front, cotton shirt will keep you cool with its open-mesh construction. It dries quickly and resists wrinkles making it the perfect travel shirt. 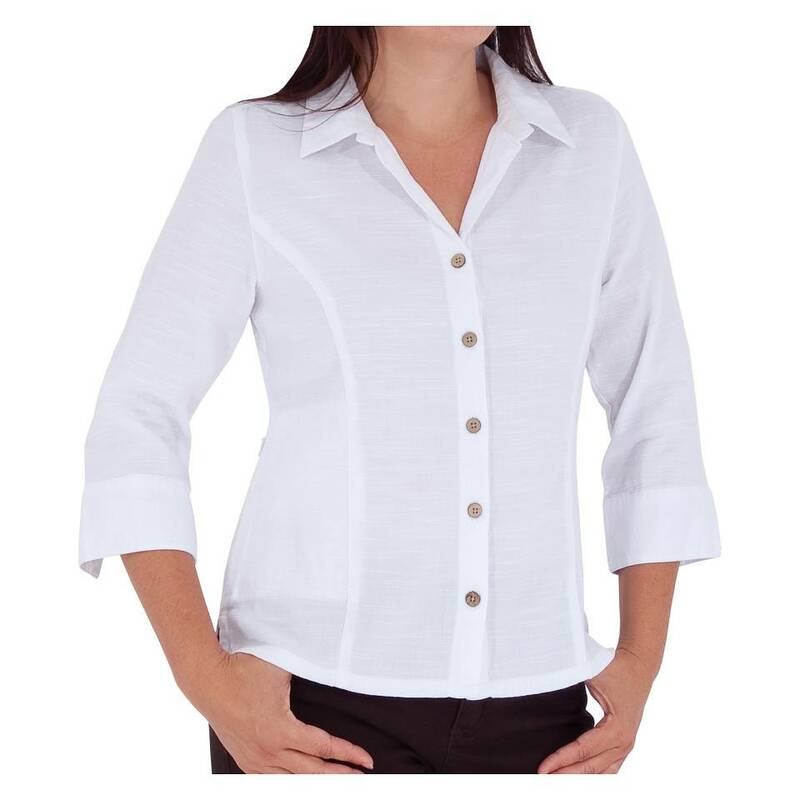 Whether you’re relaxing in Palm Springs or touring the churches of Spain, you’ll be looking great and be ready for warm weather in the Royal Robbins Cool Mesh 3/4 Sleeve Shirt Jacket for Women.